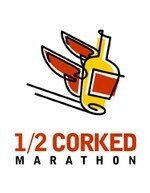 Here they are... our recipes from the Half Corked Marathon! Take us (a bottle of our wine) with you on vacation this spring and summer, snap a picture, and enter it later this summer in this year's "Take Us With You" photo contest. We want to see where and with who you are enjoying our wines with! There is no limit to the amount of enteries so take us on vacation with you all summer. The winning photographer will receive a trip for 2 to visit us. Prize includes airfare ($800), car rental ($125), dinner for 2 at Miradoro ($150), 2 night stay in our guest house ($700), VIP tour of the winery, and more!